The Custard TV: BBC tease new drama in trailer. BBC tease new drama in trailer. BBC One has released a trailer showcasing a new slate of upcoming drama. 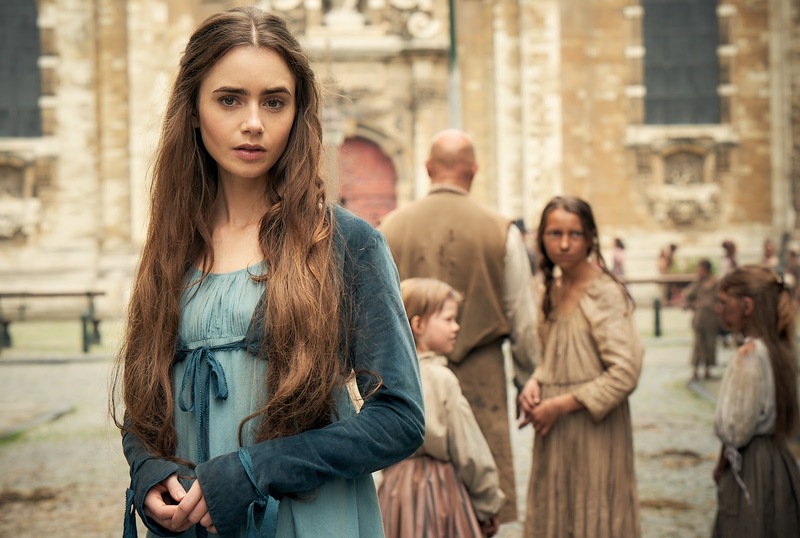 The BBC Drama trailer includes a first-look of BBC One’s landmark adaptation of Les Misérables by Andrew Davies, which stars Dominic West as Jean Valjean, David Oyelowo as Javert and Lily Collins as Fantine, alongside Adeel Akhtar and Olivia Colman as Monsieur and Madame Thénardier. John Malkovich is seen as Hercule Poirot in Sarah Phelps’ upcoming adaptation of Agatha Christie’s The ABC Murders. Richard Madden and Keeley Hawes star in Jed Mercurio’s brand new series Bodyguard, while Idris Elba is seen returning to his iconic role in Neil Cross’ eagerly anticipated fifth series of Luther. Ruth Wilson leads the cast of Mrs Wilson – a drama written by Anna Symon and inspired by the memoir of Wilson’s grandmother and her family’s complicated history. Eleanor Tomlinson and Rafe Spall tackle alien invasion in The War of the Worlds, a major adaptation by Peter Harness of H.G. Wells’ classic sci-fi title. 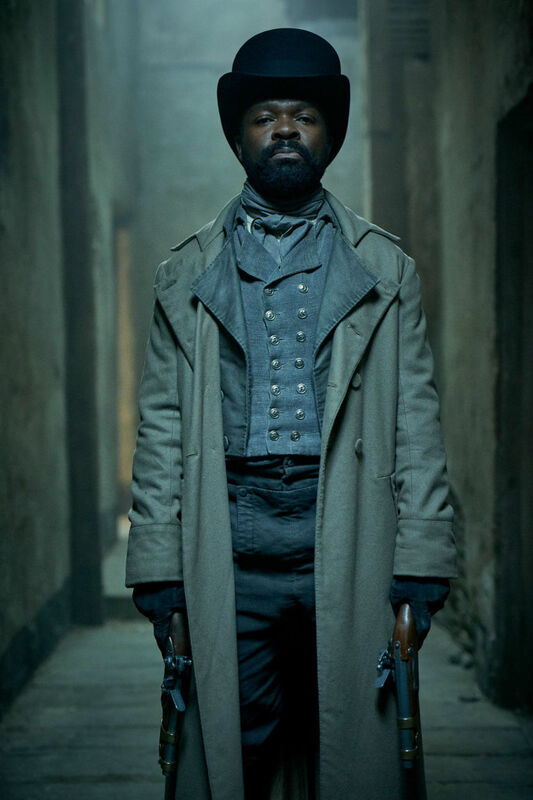 Newcomer Tamara Lawrance leads the cast of Sarah Williams’ adaptation of The Long Song, set during the final days of slavery in 19th century Jamaica, while newcomer Nabhaan Rizwan stars alongside Paddy Considine in Rory Haines and Sohrab Noshirvani’s contemporary thriller Informer. The next BBC One le Carré adaptation comes in the form of The Little Drummer Girl, written by Mike Lesslie and Claire Wilson, it stars Alexander Skarsgård, Michael Shannon and Florence Pugh. 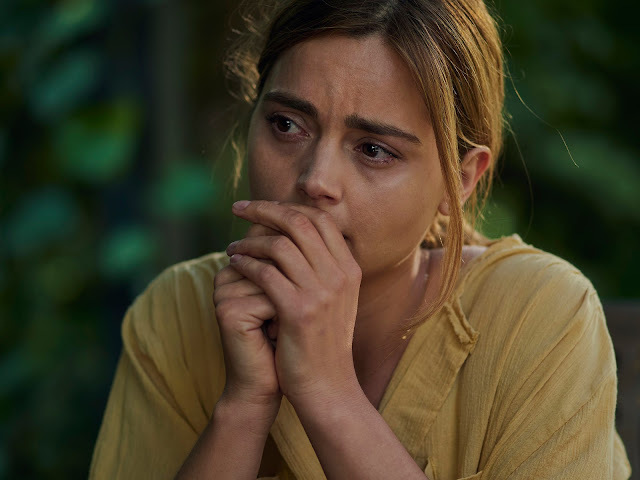 Jenna Coleman returns to the channel in Jacquelin Perske’s adaptation of psychological thriller The Cry. Toni Collette leads the cast of Nick Payne’s Wanderlust, a searingly, insightful and funny exploration of the relationships of a multi-generational family, as Suranne Jones stars as Anne Lister in Gentleman Jack, created, written and directed by Sally Wainwright. Phoebe Waller-Bridge’s Killing Eve arrives on BBC One and BBC Three – a new high-stakes thriller starring Sandra Oh and Jodie Comer, and Mike Barlett’s new drama Press, set in the fast-paced and challenging environment of the British newspaper industry stars Charlotte Riley, Ben Chaplin and Paapa Essiedu alongside David Suchet. Finally, Michaela Coel stars in Hugo Blick’s Black Earth Rising on BBC Two – a thriller about the prosecution of international war crimes and the West’s relationship with contemporary Africa, and Jodie Whittaker is seen as the Thirteenth Doctor in the highly-anticipated upcoming series of Doctor Who from brand new showrunner Chris Chibnall. The new slate of drama launches this autumn across the BBC.